Joining OAI in August 2003, Dr. Irwin Mandel brought an expertise for knee and shoulder arthroscopy, as well as sports medicine, to our practice. He is also interested in knee and shoulder reconstruction and total joint replacement, as well as general orthopaedics. Dr. Mandel currently serves as president of OAI. Dr. Mandel has a passion for helping young athletes heal and get back in the game as quickly as possible. 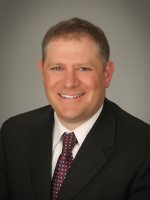 He is board certified in both orthopaedic surgery and sports medicine. Call (440) 892-1440 to schedule an appointment with Dr. Mandel.